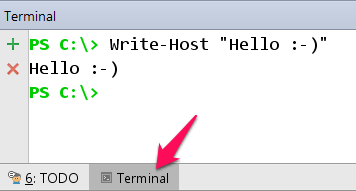 IntelliJ Idea has neat feature – Terminal Window. Unfortunately on Windows it’s set just to old school cmd. Good news is that it’s possible to change it to something better. E.g. PowerShell. Go to project settings, type “terminal”. 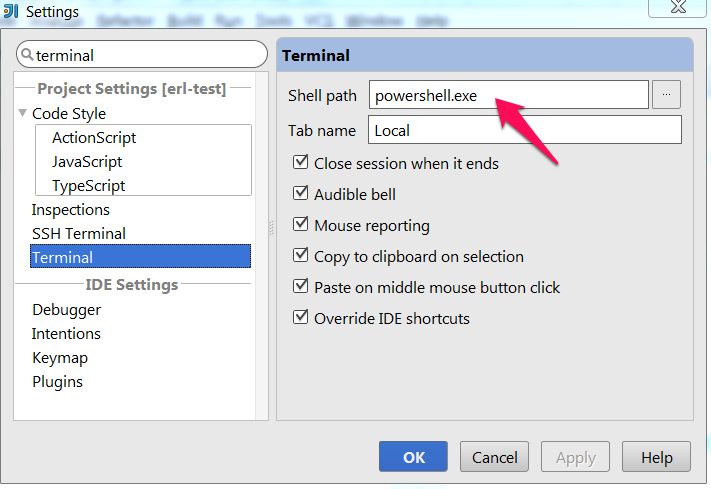 Change value in Shell path to powershell.exe. Note: If you’re using 32bit version of Idea then it will open 32bit version of PowerShell. This is important when you want to change Set-ExecutionPolicy. 32bit and 64bit PowerShell have two different settings. Unix users write scripts in their favorite editor. That’s ok, but when you have bigger project then power of IDE could help you. E.g. when editing project based on mix of Python, Bash and Java. There is very useful plugin for IDEA known as BashSupport. It will give you syntax highlight, code hinting and CTRL+Click is working the same way like in other programming languages. Very handy. File -> Settings. Search for word Plugins. Click Browse repository. Type BashSupport to search field. 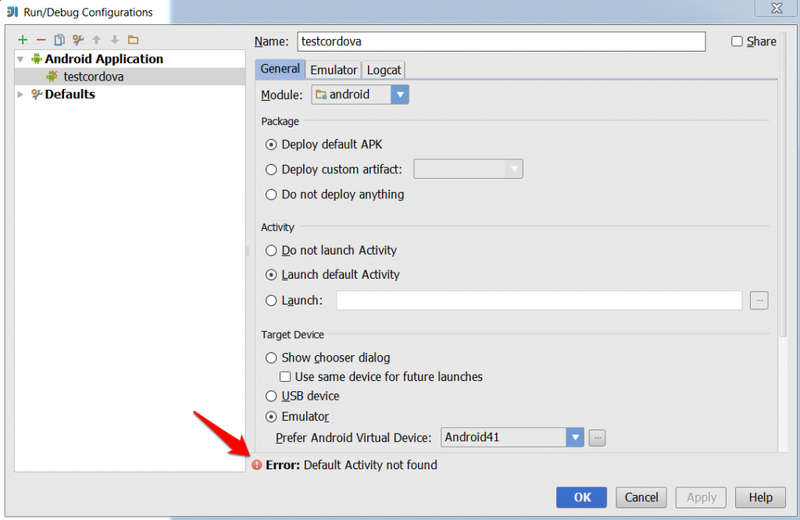 Right click on plugin name and choose install. restart Idea. Note: This plugin works also on Windows, you need to configure just path to bash (e.g. Bash from Cygwin). Reading through document with keyboard shortcuts for IDE is boring and often you do not have time to learn it. 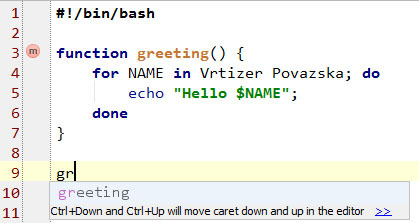 Dmitry Kashin wrote simple yet powerfull plugin for IntelliJ Idea – Key Promoter. It simply displays keyboard shortcuts whenever it is possible to speed up your work. Jade Templating Engine is popular in Node.js world. 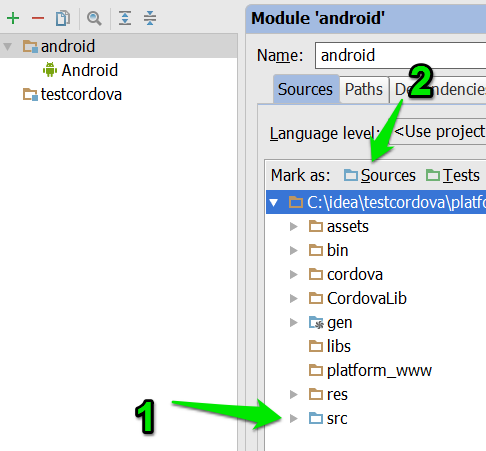 There is also plugin for IntelliJ Idea which has support this format. If you open .jade file in Idea and there is no syntax highlight then there is something wrong. Most common mistake is that people open .jade file before installing plugin and they choose Text editor to open this file. Idea remembers this decision and after installing plugin it will always open .jade files in basic Text editor without syntax highlight. Correction is quite easy. You need to fix file extension association. 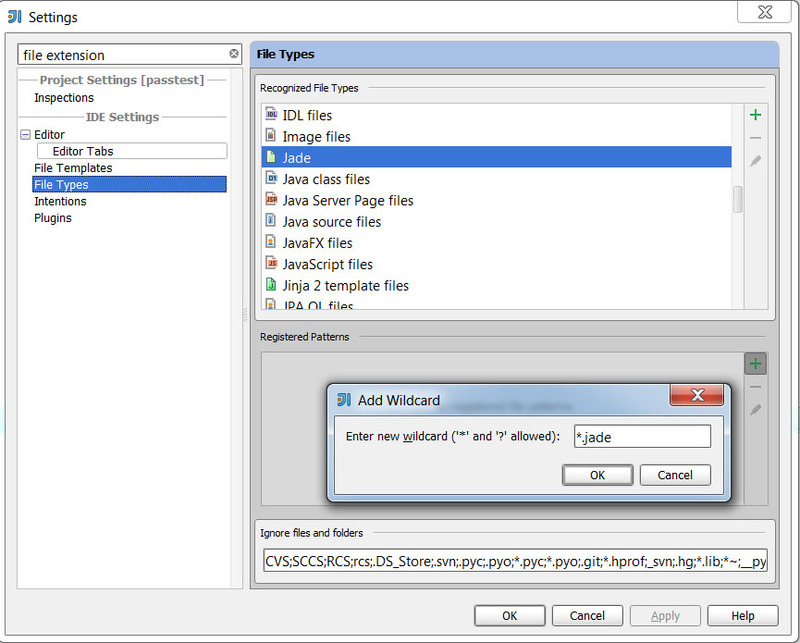 Open Settings – Editor – File Types. Find Jade and add *.jade file extension.